Matt Miller joins Tom for this #LeadershipMinute. To see other #LeadershipMinutes, click here. Every day in your school and district, great things happen. How does your community know? One school district that I love to follow, not simply because of the amazing work that happens inside it, but because of the intentional way that they share their story with those on the outside, is Lakota School District. Matt Miller (@LakotaSuper), highlighted in the video above, may lead the charge, but the district, like all others, is filled with amazingly dedicated people who work tirelessly for the kids that they serve. Just a few minutes reviewing the #WEareLakota hashtag on any given day will bring to light so many of the great things happening throughout this Ohio district. Teachers who love kids as their own. Teachers who bring outgrown clothes from their children to give to their children. Teachers who console a weeping student in a hallway dealing with loss. Teachers who take a few moments to encourage the child that needs it. Teachers who challenge those that they know can do more, but do so out of love. Teachers who spend from their own paycheck to provide for those in their classroom that can’t afford. Teachers who arrive before the sun comes up and leave after the sun has set. Yet many times, these are the stories that remain unseen. These are not the stories that sell newspapers or make the local headlines. These are the stories that often remain trapped within the school walls. Joe Sanfelippo (@joe_sanfelippo), whose work I’ve written about many times, often shares how, “In the absence of knowledge, people make up their own.” For schools, and those who work within them, this statement is an ultimate truth. As educators we serve under such an interesting context. We could possibly be the only profession on the planet where every group that makes a judgment on what we do thinks they’re an expert because at some point in their lives, they’ve been a part of what we do. Yet, how many parents or community members truly understand what it is that we do? Just like the incredible educators in Lakota, those a number of states away in Fall Creek, Wisconsin, proudly share their work – every day, using the #GoCrickets hashtag. The district of Fall Creek may be tiny, but the things that happen inside it every day are massive. As highlighted in this recent Education Dive article, these things don’t happen by chance. The district and building leadership in these districts model the way. Highlighting the work in Lakota is an intentional act. Highlighting the work in Fall Creek is an intentional act. What I admire about the leadership in both districts is the humility in which they lead. Having seen both Superintendents present multiple times, neither will reference “me” or “I” when sharing the great things that happen in their districts. 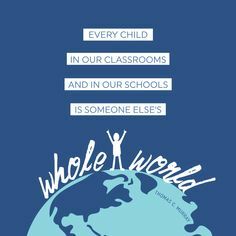 When referring to their districts and the amazing people tall and small that fill it, they use “we,” “our,” and “us”. Their phrasing is intentional. Their wording is purposeful. Their humility and collaborative style of leadership is empowering. Their pride in their community and in their teams is powerful. Their modeling is at the core of the definition of leadership. As you saw evidenced in the video with Matt Miller above, leadership is not about highlighting one’s self and filling one’s head with pride and ego. Leadership is about action and empowering others to shine their light. It’s often been said that the best leaders, “take far less credit than they deserve” and shoulder “far more blame than they deserve.” Matt and Joe are two leaders that model this definition and lead with humility as the work occurring under their leadership, and their people, shines bright. Tomorrow inside your school walls, amazing things will happen. Will those stories remain trapped within? If you’ve read these thoughts thinking “I wish my Superintendent would….,” that’s a mindset. Although it may be a very accurate and understandable thought, just like Matt and Joe, YOU are a leader for kids. Regardless of your role, you contribute to the culture. Regardless of your role, you contribute to the messaging. What’s stopping you from igniting the flame? What’s stopping you from unleashing the trapped stories? 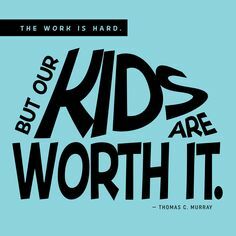 The work is hard, but our kids are worth it.